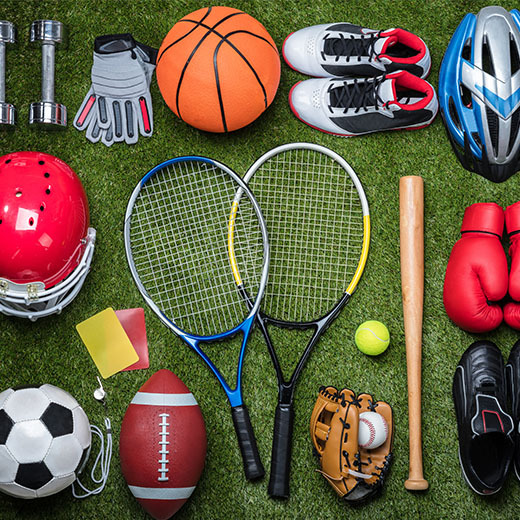 A sporting goods manufacturer needed to improve their global supply chain. Pre-builds of scheduled product launches, peak seasons and OEM builds made it difficult and time consuming for their operations to track what was what, where and when it needed to ship. Each of their resellers, distributors, direct customers and different global regions required specific labeling, packaging, transit and delivery times. Once orders were completed, boxed and ready for stacking on a pallet, how could they accurately determine that all boxes and their contents were going to the right location at the scheduled time? They implemented an RFID label initiative for the packaging of their products. Each box of goods would be tracked with data points such as manufacturing date, technician, build of materials, lot codes for the various components and certifications for different countries. Prior to loading a truck, pallets had up to 100 boxes tightly packed and stacked high. Each box also contained a variety of metals, plastics, fabrics, and foam. The different sized boxes and orientation of RFID tags made it difficult to scan the tags and human readable barcode. What they were experiencing are the results of how radio frequency waves work in general. These signals can be blocked by metals and packaging or other materials in between tags and can limit the read range. Warehouse technicians often had to break down a pallet to confirm count and content. What initially was a great solution added time and effort to their operations because the RFID initiative didn’t work as originally intended. The solution ultimately came from Enasys, a global leader in asset management and inventory tracking solutions. Enasys engineered a solution and built a miniature portal (bridge) as proof of concept. Demonstrated onsite, the miniature portal proved that they could roll a pallet of goods within and under the portal while achieving full scan capabilities of all RFID tags on the pallet. With the EnaSys portal and proprietary radio frequency dampening material, there was zero over scanning outside or next to the portal. Time savings in handling, simultaneous multiple scans, accuracy, and ease of use was realized immediately. The initial contract called for a single portal with opportunity to expand to three for the upcoming holiday season. The Enasys suite of solutions, specifically Enasys Origin software (Patent Pending) is the backbone for the full-scale portal. The “data from” tag reads are then directed to the manufacturers ERP system. A series of Impinj xArray Gateways mounted on a custom, scalable, powder coated steel cage puts the finishing touches for an industrial grade RFID inventory tracking solution. Whether your products are sporting goods, seasonal products or consumer electronics, Enasys provides real world solutions for manufacturers using RFID technology and adaptable software for seamless integration.